Triangle Factory Fire button. One of American labor's greatest tragedies, the 1911 Triangle Shirtwaist fire in downtown New york City, which took almost 150 lives, is depicted by this powerful contemporary image of a slain worker with the ironic "Help Wanted" sign. 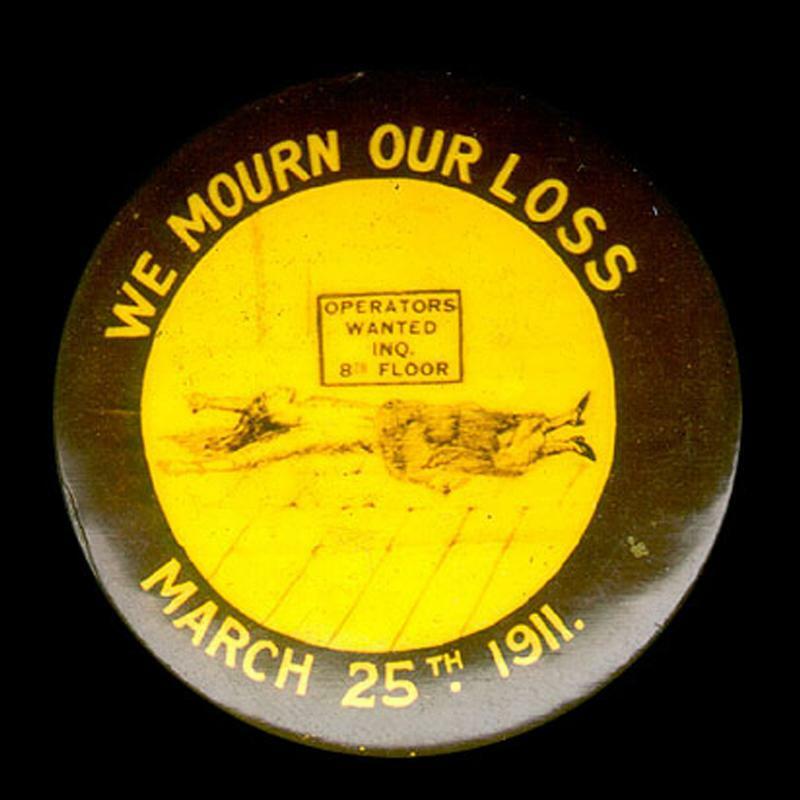 See also the Triangle Shirtwaist Factory Fire exhibit here.